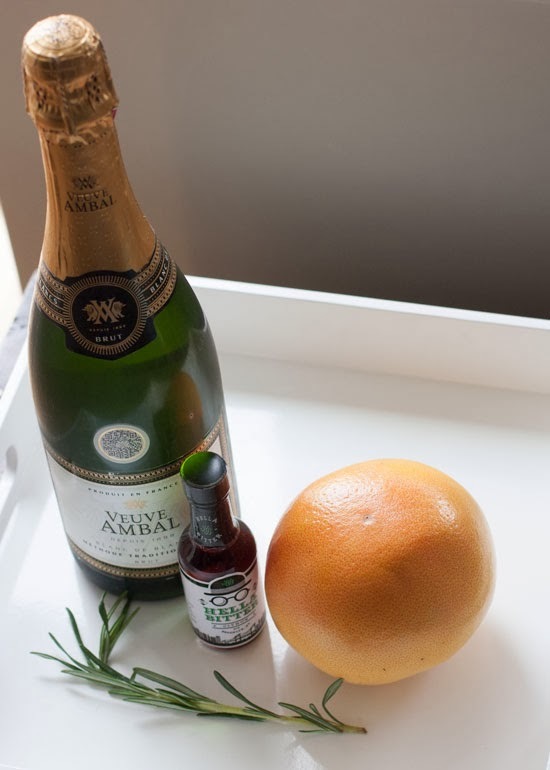 The fine people at Veuve Ambal and Hella Bitter sent me some sparkling wine and bitters and gave me the task of coming up with a cocktail. 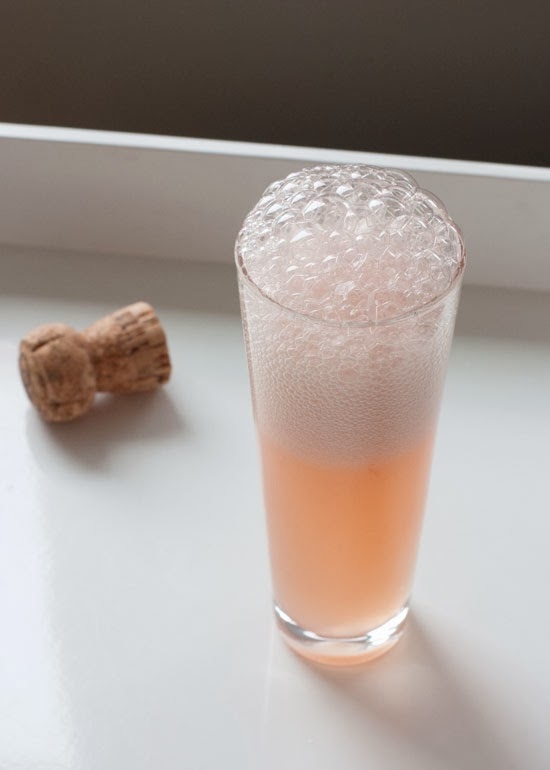 The rosemary and grapefruit are such a nice pairing with the bubbles and bitters, and the color is the loveliest. 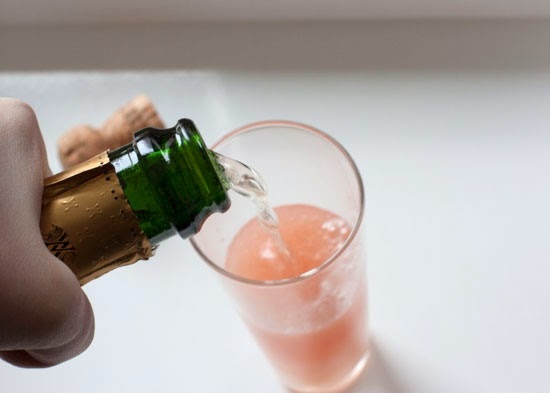 It's a perfect way to fancy up your basic brunch cocktail. To make the rosemary simple syrup, bring 1/2 cup of sugar and 1/2 cup of water to a boil in a saucepan, stirring until sugar dissolves. Remove from heat, add two springs of rosemary and let sit at room temperature for one hour. Remove rosemary. 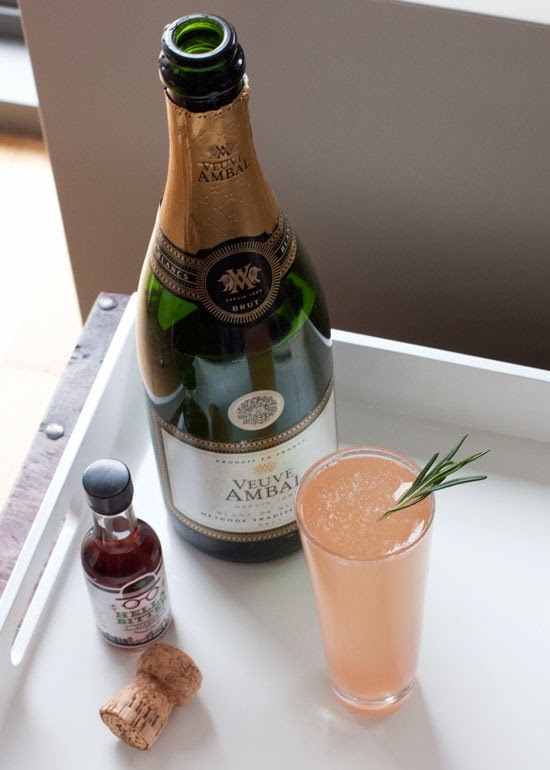 In a champagne flute or coupe, combine freshly squeezed grapefruit juice with rosemary simple syrup. Top with sparkling wine and two dashes of bitters. 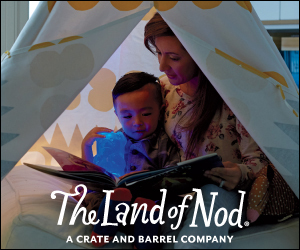 Oh, this sounds delicious! 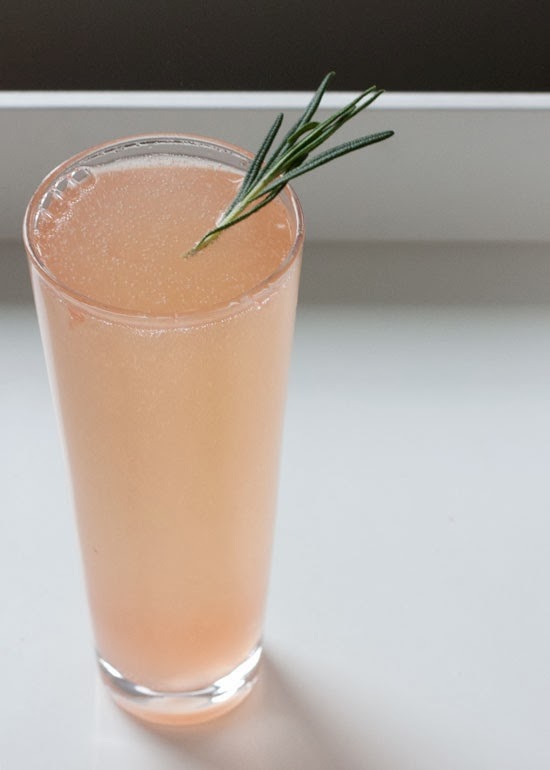 Rosemary and grapefruit are both two of my favorite flavors!